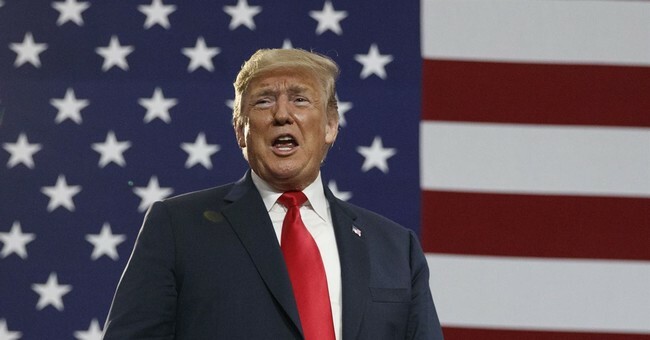 According to Rasmussen Reports on August 2, black Americans’ approval of the job President Trump is doing nearly doubled in one year, from 15 percent in August, 2017, to 29% in 2018. This could be devastating to the Democrats who depend on their traditional windfall of 85 to 95 percent of the black vote for election victory. That the stunning new prosperity driven by the Trump tax cuts has given blacks and other minorities reasons to celebrate job opportunities and family economic gains unknown during the Obama years is certainly one reason for this new phenomenon. But maybe the mind-shift sparked by #walkawaycampaign founder Brandon Straka and his YouTube freedom manifesto video “Why I Left the Democratic Party” could prove even more momentous. It’s a dramatic mind-shift of major significance; people, and especially minority people, awakening from the victimization mentality and government dependence that Straka condemns as keeping the Dems in power while holding minorities down – and fleeing to self-empowerment and a truly revivalist spirit of personal liberation. It’s the American anything-is-possible spirit that’s convincing the formerly “downtrodden” that their future can be great again. There’s a distinctly evangelical Trumpian flavor to the thousands of personal #walkaway stories and videos posted on the #walkawaycampaign Facebook page. In their vivid testimonials of political journeys and personal experiences, individuals often breathe a huge sense of relief that finally they have found a place where there is no retribution, no fear of being branded a racist, a Nazi, a misogynist or a hater simply because they are breaking the lefty leash. But the formidable new weight of the #walkaway movement is not just about the over 165,000 who have signed up as members at the official #walkaway campaign Facebook page or the tens of thousands who have posted their stories there. It’s not just that Kanye West refuses to bend the knee to the legion attacking him for tweeting his Trump-signed MAGA hat and asserting, “you don’t have to agree with Trump but the mob can’t make me not love him…he is my brother.” It’s not just that Brandon Straka and his YouTube message have reached millions of people of all colors in his interviews with Diamond and Silk (811,000 Twitter followers and 182,000 YouTube subscribers) and in his appearances on Fox News with Tucker Carlson, Judge Jeanine Pirro, Laura Ingraham and others. What’s mightily shaking the political earth are the important opinion makers in the black community who are raging on social media against the manipulative Democratic machine. And their literally millions of followers are listening and passing the message of liberation on to more listeners. These strong, bold, straight-talking conservative black men and women have built huge followings on their own YouTube channels. Their fiery videos embrace and promote the #walkaway campaign and its traditional values of self-actualization, personal responsibility, and individualism that they realize align with their own black community ideals. These are people with massive audiences and a gift for speaking powerfully to the viewer virtually face-to-face. They include former Arizona police officer Brandon Tatum whose YouTube channel has 145,000 subscribers and whose sensational yet fact-filled video “Democrats Hate Black People,” posted July 2, had nearly 400,000 views just a month later. Recently, Tatum teamed with the charismatic and witty Candace Owens of Turning Point USA (she has 667,000 Twitter followers and nearly a quarter-million YouTube subscribers) to bring a dozen or so black social media stars to a Black Conservative Summit networking conference, strategizing ways of increasing their combined influence. Anthony Brian Logan is another important black conservative voice who attended the conference. His YouTube channel has over 200,000 subscribers. His latest video is titled “The Democratic Party is Dead,” and pictures a coffin with a painted-on red, white and blue dead donkey, carried by black men. Logan also quotes Lyndon Johnson’s brutish boast that if the 1964 Civil Rights Act was passed during his administration, “We’ll have those niggers voting Democrat for 200 years.” And he seemed to be right – at least for the ensuing 54 years, blacks have reliably voted for Democrats by 85 percent up to 95 percent. But even as a record 137.5 million Americans voted in the 2016 presidential election, black voters sent a warning signal to the Democratic Party and a lack of love for Hillary Clinton when their turnout rate declined – by 7 points -- for the first time in 20 years. Turnout fell from 66.6 percent in the 2012 Obama re-election to 59.6 percent in 2016. Despite declining enthusiasm for the Democratic candidate, Clinton still held a giant lead among black voters - 88 percent to Trump’s paltry 8 percent. Still, if black voters are paying attention to the #walkawaycampaign and its influential black thinkers and video celebs, and if even half the 29 percent who now approve of Trump vote for him, his percentage of the black vote could nearly triple from 8 percent to 23 percent.